In the course of my Master’s degree at Queen’s University Belfast I have focused on the history of Irish and Northern Irish women. When the opportunity arose to undertake an internship in public history as part of my course, I was very keen to be involved. The Presbyterian Historical Society was perfect for me as I could explore aspects of women’s history while interning. 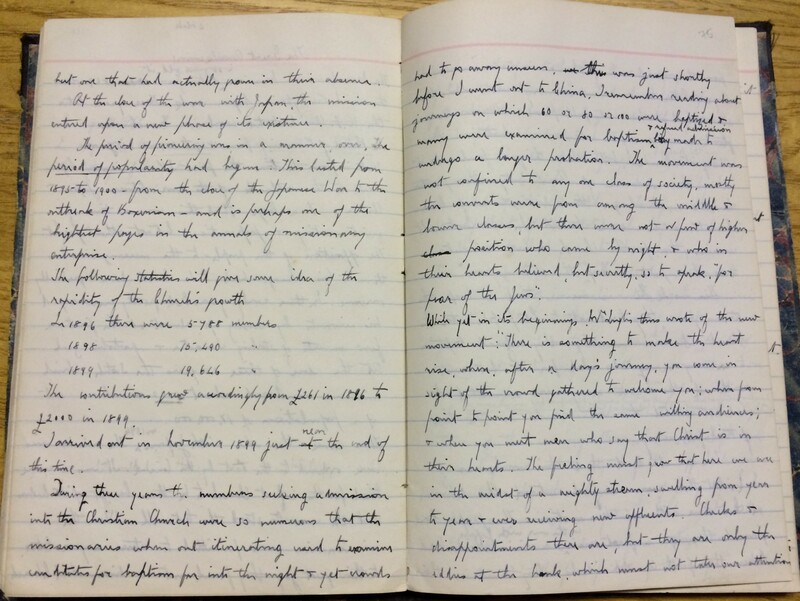 During my internship at the Society I worked on transcribing the diary of Dr. Margaret McNeill who was a Presbyterian missionary to China. This allowed me to widen my historical knowledge while developing the practical skills that are needed to work in a public history environment. The Presbyterian Historical Society was established in Belfast in 1907 following a request from the Presbyterian Historical Society of the United States of America. Many Irish Presbyterians had emigrated to America and wanted to explore their familial roots. This connection was still evident during my time as an intern as groups of Americans were regular visitors to the Society, keen to discover their families’ histories in Ulster. The Presbyterian Historical Society is unique among historical institutions in Ireland as it specialises in the history of Presbyterians in Ireland and Northern Ireland. It is also a ‘society,’ meaning that Presbyterian churches can opt to join. But the main purpose of the Society is the documentation of history. The archive that the society holds is an asset to Presbyterianism as it brings together a diverse collection of sources. The archive also holds a range of secondary literature written by historians about Presbyterianism. This library of secondary material allows for an in depth study of Presbyterian history. The Presbyterian Historical Society also produces its own literature on the history of Ulster Presbyterians and its key figures. This allows for members of the society to work with archival sources, creating greater engagement in this area of public history. One such publication is Into all the World. This publication discusses the history and role of Presbyterians in missionary activity, highlighting the fact that there is a wider focus to the society than simply Irish Presbyterianism. 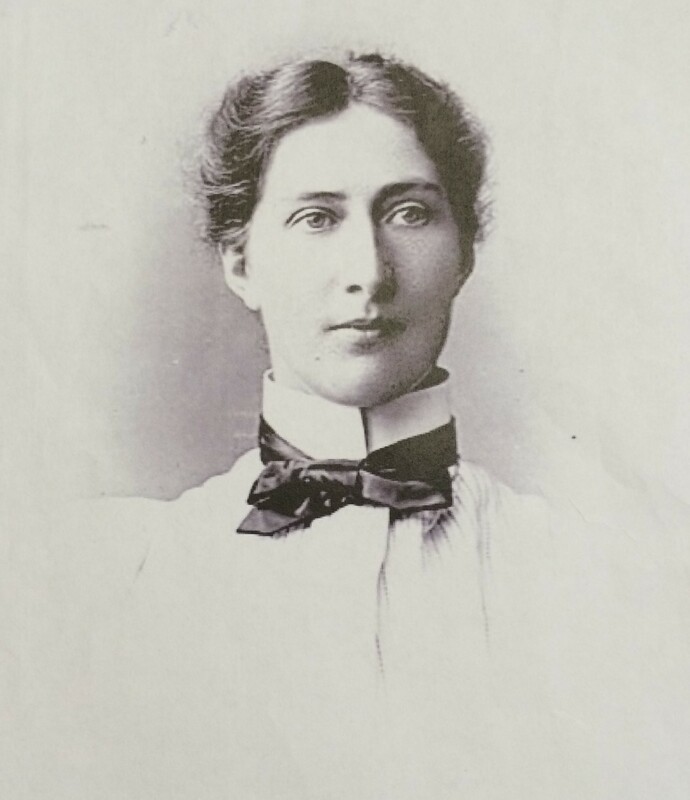 The focus of my internship was the diary of the missionary Dr. Margaret McNeill, which details the experiences of one Irish Presbyterian, but within a wider, international context. Reproducing her diary entries opened up stories about Chinese and Japanese society as well as the Russian military. The diary offers an intimate perspective on how missionaries adjusted to and viewed the society in which they were living while undertaking mission. Throughout my time in the Presbyterian Historical Society my practical skills were greatly improved, in particular the ability to transcribe documents and interpret them historically. The digitisation of archives means that they are more accessible to historians and the wider public, generating more knowledge and interest in historical figures and events. From my experience interning in public history it is clear that institutions such as the Presbyterian Historical Society are key in helping the public engage with history. A small, specialised archive such as this means that the archivists are very knowledgeable about the documents which it contains as well as the over-arching history of Presbyterianism. It is also important to note how there is a multi-layered aspect to archives such as these. One enters believing, as I did, that they will uncover certain specific aspects of history, but once you have explored further – many aspects of international history come to the fore.